Here are 15 libraries in various languages to help implement your deep learning algorithm. Theano is a python library for defining and evaluating mathematical expressions with numerical arrays. Theano supports related frameworks such as Keras, Pylearn2, Lasagne & Blocks. Caffe is a deep learning framework made with expression, speed, and modularity in mind. It is developed by the Berkeley Vision and Learning Center (BVLC) and by community contributors. Google's DeepDream is based on Caffe Framework. This framework is a BSD-licensed C++ library with Python Interface. Chainer bridge the gap between algorithms and implementations of deep learning. Its powerful, flexible and intuitive and is considered as the flexible framework for Deep Learning. 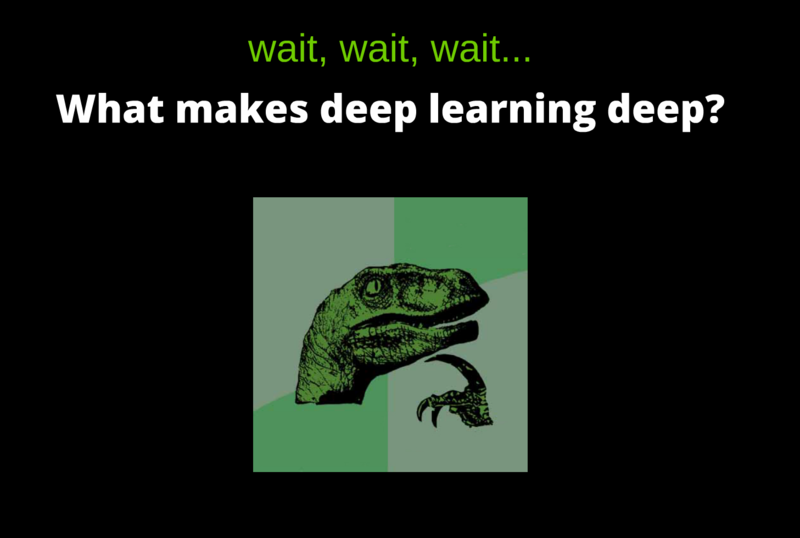 deepnet is a GPU-based python implementation of deep learning algorithms like Feedforward Neural Nets, Restricted Boltzmann Machines, Deep Belief Nets, Autoencoders, Deep Boltzmann Machines and Convolutional Neural Nets. ConvNet Convolutional neural net is a type of deep learning classification algorithms, that can learn useful features from raw data by themselves and is performed by tuning its weighs. SINGA is designed to be general to implement the distributed training algorithms of existing systems. It is supported by Apache Software Foundation. Deeplearning4j is the first commercial-grade, open-source, distributed deep-learning library written for Java and Scala. It is designed to be used in business environments, rather than as a research tool. Torch is a scientific computing framework with wide support for machine learning algorithms. It is easy to use and efficient, fast scripting language, LuaJIT, and an underlying C/CUDA implementation. Torch is based on Lua programming language. Mocha is a Deep Learning framework for Julia, inspired by the C++ framework Caffe. Efficient implementations of general stochastic gradient solvers and common layers in Mocha could be used to train deep / shallow (convolutional) neural networks, with (optional) unsupervised pre-training via (stacked) auto-encoders. Its best feature include Modular architecture, High-level Interface, portability with speed, compatibility and many more. Lush(Lisp Universal Shell) is an object-oriented programming language designed for researchers, experimenters, and engineers interested in large-scale numerical and graphic applications. It comes with rich set of deep learning libraries as a part of machine learning libraries. DNNGraph is a deep neural network model generation DSL in Haskell. Accord.NET is a .NET machine learning framework with deep learning libraries combined with audio and image processing libraries completely written in C#. It is a complete framework for building production-grade computer vision, computer audition, signal processing and statistics applications. darch package can be used for generating neural networks with many layers (deep architectures). Training methods includes a pre training with the contrastive divergence method and a fine tuning with common known training algorithms like backpropagation or conjugate gradient. Teglor has a more comprehensive list organized by programming language. Any library could work on R? Nice list. I like h2o which also offer a great deep learning solution.